0km – 5.5km: Outside the Kuranda Information Visitor Centre on Coondoo Street in Kuranda – over the bridge at the railway station – right onto “Jungle Track” – left into Barron Falls Road (bitumen) – Wright’s Lookout. 22km – 28km: Right onto Smith’s Track (1.1km) – left into Djina-Wu Track (765m). When you come off the track onto the bitumen at Speewah Campground Checkpoint* (END OF KAURI HALF MARATHON), turn left and run up the steep hill. Right into Stoney Creek Road – left into Speewah Road– right onto Snake Gully bush track. 28km – 33km: Snake Gully Track in Dinden National Park (single track). 33km – 42.2km: Clohesy River Road Checkpoint. Right – Clohesy River Road (dirt road) – right – Cedar Park Road – Cedar Park Rainforest Resort. 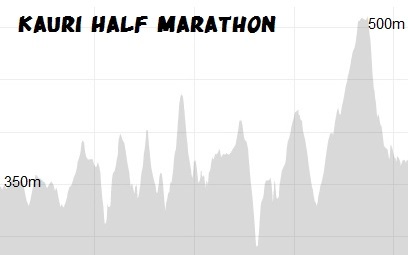 End of Marathon 1. * If you want to use the toilets at Speewah Campground you will need to go off the course to do so. This is also the finish location for competitors doing the Kauri Half Marathon. 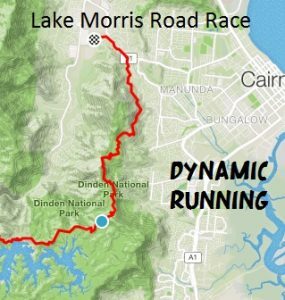 22km – 23km: Right onto Smith’s Track (1.1km) – left into Djina-Wu Track (765m). When you come off the track onto the bitumen at Speewah Campground your race is finally over! 27km – 42.2km: Left – Clohesy River Road – right – Cedar Park Road – Cedar Park Rainforest Resort. End of Marathon 2. 40km – 42.2km: (Bitumen) Lake Morris Road – left – cross road onto bitumen footpath alongside Reservoir Road. Follow footpath and cross over the service road, run past the Mobile Service Station. Left turn into Christies Drive. Cross over View Street. Follow Shale Street down to Goomboora Park. Right turn into Goomboora Park. Follow footpath to the finish. 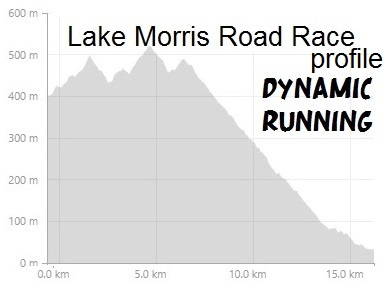 0km – 14km: Lake Morris Road (Bitumen) 5km climb before a long descend down to the base of Lake Morris Road. 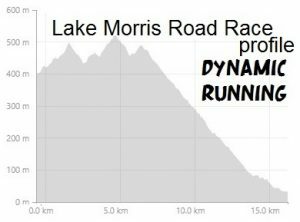 14km – 16km: (Bitumen) Lake Morris Road – left – cross road onto bitumen footpath alongside Reservoir Road. Follow footpath and cross over the service road, run past the Mobile Service Station. Left turn into Christies Drive. Cross over View Street. Follow Shale Street down to Goomboora Park. Right turn into Goomboora Park. Follow footpath to the finish.